It would be fair to say that cryptos have thrown a real curveball into currency over the last few years – with some people building up huge banks and coining monumental profits in the process. The problem is, at least in comparison to fiat money, little regulation exists. While you might be offered ‘x’ protection by your standard bank, no such protection is there when it comes to cryptos and specifically in relation to this guide, ethereum. In other words, it’s not been unheard of to lose huge amounts of it through hacking, or maybe even just losing the key codes. Ultimately, storage becomes a really crucial topic. 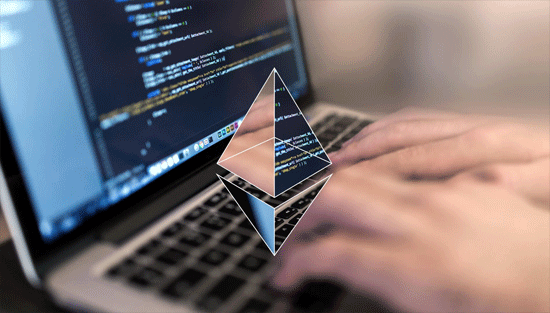 Having something accessible, convenient and most importantly secure is something that any ethereum owner requires, although different options will be suitable for all of the different purposes that ethereum is used for. It’s for the above reasons that we have put together this guide. We’ll now take a look at some of the most common ways of storing ethereum, keeping a keen focus on hot and cold wallets. In simple terms, if you decide to store your ethereum in a “hot wallet” it translates to keeping it online. Few people would disagree that this is by far and away the most convenient method – as it immediately allows you to initiate transfers and ultimately spend your ethereum as you would like. Unfortunately, such convenience comes at a cost. By opting for the hot wallet solution, you are immediately opening yourself up to the risk of being hacked. The data is stored online and as such, particularly now we are in the era of cyber-attacks and the like, it can be abused if someone was desperate. Of course, while these security concerns do exist, there are ways to improve the situation somewhat. A hard-to-guess password should be a given – and a strong recommendation is to utilize a password generator that brings different types of characters into the equation to eradicate the chances of “guessing”. As well as this, a program such as Google Authenticator is always recommended, which can provide two factor authentication and make a hot wallet as secure as possible. What are examples of hot wallets? If you were to try and specifically look for a hot wallet, the results might be somewhat limited. This is because a lot of services aren’t actually marketed as this – they can come in the form of exchanges which allow you to trade your ethereum, which obviously means that you can also store it there. Examples of such exchanges include Kraken and Coinbase. These are regarded as some of the best services in the business for allowing you to exchange ethereum, but when it comes to storage it’s a different matter in its entirety. This is for all of the reasons we have specified above; if your account was to be hacked, you could lose all of the funds within it. This means that the typical advice is to use these exchanges solely for trade and keep minimum amounts of ethereum in there. Then, in the worst case scenarios, you’re unlikely to lose out substantially. If you’re looking for a hot wallet in the truer sense, it comes in the form of a specific account. These accounts, with examples being Jaxx.io, Exodus.io and the Dash QT wallet, are marketed as wallets and download to your computer. As they are still in digital form, they are strictly a type of hot wallet. These have slight benefits over the previous types of hot wallets we talked about, namely that your private keys will never be stored on their servers. While this might mean that your money is completely under your control, it doesn’t mean to say that you’re not susceptible to hackers. A hacker might not be able to obtain them through the service, but they might be able to by gaining access to your own computer. Ultimately, there are some minor security benefits, but you are by no means completely protected and this is of huge concern to some people. Next on the agenda are cold wallets. Immediately, many people are attracted to this form of ethereum storage for the simple reason that your coins will never be online. In other words, you don’t have to worry about the prospect of your own computer being hacked, or the server which your private keys are stored on. At the same time, they’re not for everyone. The reason so many people use a hot wallet solution is because of the convenience factor and naturally, this doesn’t exist with cold storage. You can’t transfer them at a whim – they’re not stored digitally so more steps are required if you are looking to do this. 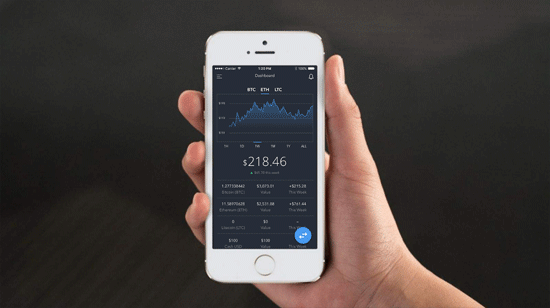 What are examples of cold wallets? Just like the previous section, there isn’t just a one-fits-all form of cold wallet. There are a couple in total, and each has its own pros and cons. We’ll start with the hardware wallet. As the name suggests, this is still a physical device, but the significant difference with this and some of the hot wallets is that it’s never online. Sure, you can plug it into a computer, but most people don’t bother with this approach for all of the security issues we have documented throughout. On the subject of security, some people have termed hardware wallets as hacker-proof – which speaks volumes about just how they can look after your ethereum. While security is the main benefit with hardware perspective, there are some convenience benefits. It is possible to transfer by hooking up to a computer, with this achieved by merely press a button on the devices to confirm. 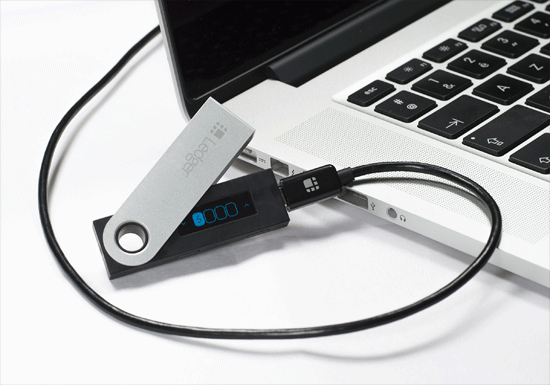 The likes of Trezor and the Ledger Nano S are common examples of this form of wallet and result in high levels of security being combined with convenience, which can be difficult to find with a lot of ethereum storage options. If security is your principle concern, and the fear of getting hacked plays on your mind most nights, then a paper wallet is undoubtedly the way to go. 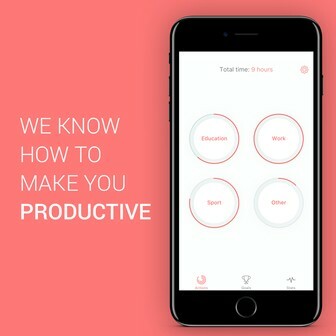 The meaning of this option should hopefully be given away in the name; it’s a solution which doesn’t involve any form of computer system at all. The upshot of this is that hacking is just not possible. Of course, while the risk of being hacked might be eradicated, the issue of inconvenience certainly isn’t. As nothing is stored digitally or over a network, transferring becomes very hard. This is based on the way in which these paper wallets work – they are effectively documents containing your public and private keys. Usually, this comes in the form of QR codes, which can at least make transactions a fraction quicker to process when the time comes. If we return to the topic of security, there are still concerns which hang over paper wallets though. For example, if your paper wallet was to be either lost or stolen, you will immediately lose your ethereum if it falls into the wrong hands. At the same time, there have been cases of the ink degrading, which results in the same problems as the previous sentence. 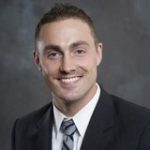 Peter Hall - Author - Professional investment advisor and licensed broker.